Dear Investors and Newsletter Readers, As part of our continuing on the ground research, please find below our travel report for Jordan. As part of our continuing on the ground research, please find below our travel report for Jordan. 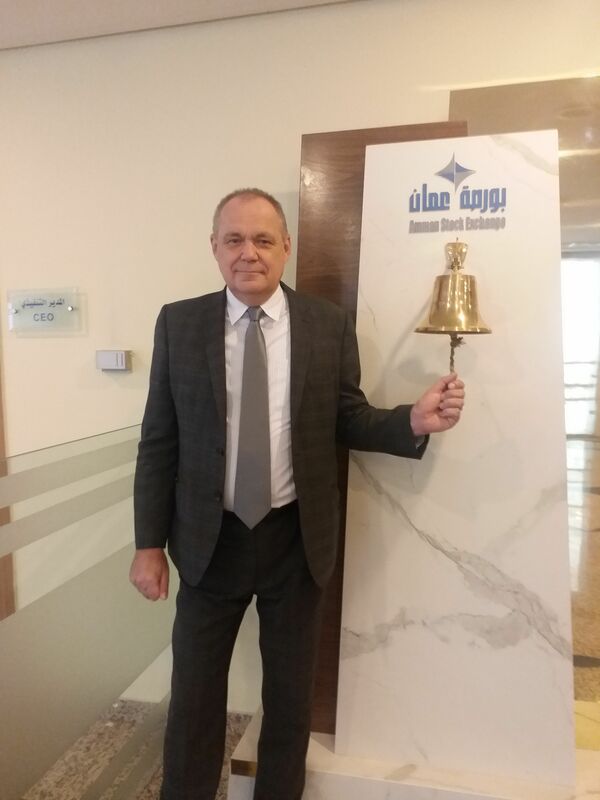 CEO and Fund Manager Thomas Hugger recently travelled to Amman, Jordan as part of an initial research trip. All photos are by Asia Frontier Capital except where otherwise noted. The AFC Asia Frontier Fund has not invested in Jordan to date, despite the fact that the country is part of the MSCI Frontier Index with a weighting of approximately 1.6%. 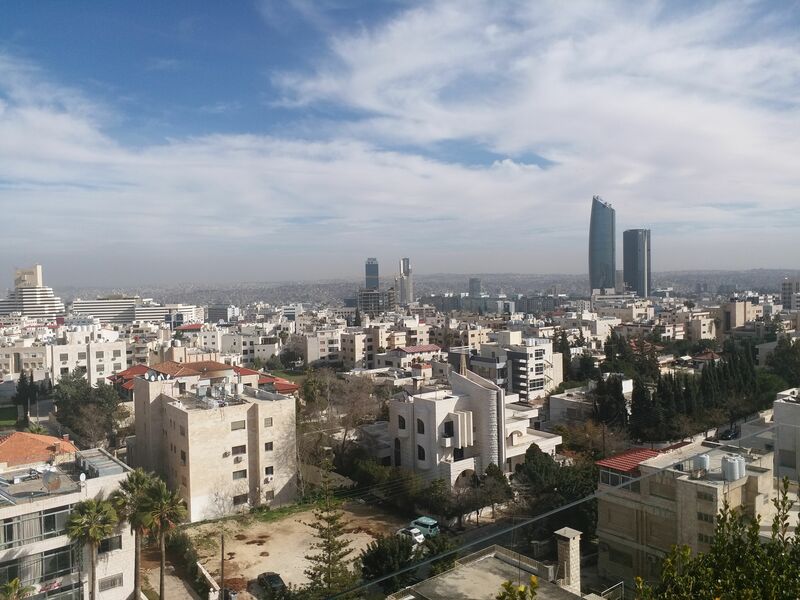 Due to the last-minute cancellation of an annual investment conference that we have attended in Dubai over the past few years, I used the opportunity to visit Amman, Jordan’s capital city. 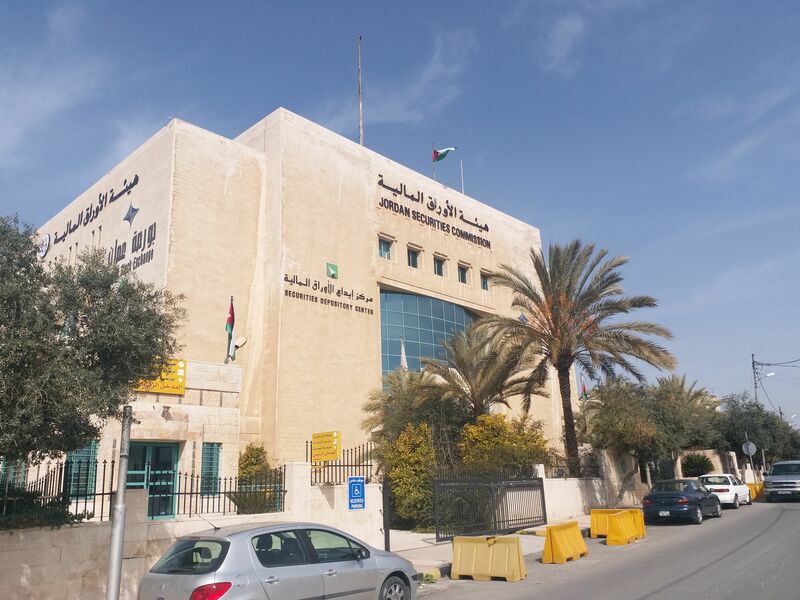 The Amman Stock Exchange “ASE” was established in March 1999 as a non-profit independent institution, authorized to function as a regulated market for trading securities in Jordan. On 20th February 2017, the ASE was registered as a publicly held company but currently it is 100% state owned. There are 194 companies currently listed with a total market capitalization of JOD 16.5 bln (USD 23.2 bln), which is about 58.2% of the country’s GDP. Interestingly, about 51.7% of the market capitalization is owned by foreigners, mainly by Arab investors (about 36.8%). Currently, 58 brokerage companies are trying to survive in a market where the average daily trading volume is just about JOD 4.86 mln (USD 6.84 mln). The ASE's best days were from 2005 to 2008 and the daily turnover hit its peak in 2008. Between 2004 and 2008 the GDP of the country grew at a CAGR of 6% and around 2.3% per year from 2010 onward. I was told that the boom years from 2004 to 2008 were due to the influx of Iraqi citizens with a lot of capital who drove up stock and property prices to unprecedented levels. Today, two banks make up about 40% of the market capitalization of the stock exchange: Arab Bank (24.7%) and The Housing Bank for Trade and Finance (15.3%). These two companies are followed by Arab Potash (8.9%) and Al-Eqbal Investment Company, a producer of shishas and other smoking products (5.1%). Jordan’s population is currently about 10 mln but it hosts about 3.5 mln refugees: 2.1 mln from Palestine and 1.4 mln from Syria and thousands from Iraq (mainly Christians). The country’s citizens, economy and government finances have suffered due to this massive influx of refugees since the “Arab Spring” started in 2010 in Tunisia. Jordan was extremely affected by the situation in Egypt and suffered because of the cut in gas supplies coming from Egypt for electricity generation purposes. The heightened public discontent and the need to calm the streets prompted the consecutive governments to install fuel, bread and water subsidies. These factors have led to a widening budget deficit and ballooning public debt. Jordan currently has debts equivalent to 94% of GDP, an unemployment rate of more than 18% (the rate for young people is closer to 25%) but on the positive side, 75% of the population is below the age of 35 and the budget deficit is much more contained and is currently hovering around 3% of GDP. GDP per capita in PPP terms is only USD 9,200, which is lower than its neighbors Iraq and Syria. Human habitation of the country dates back 200,000 years and the first cities emerged during the Bronze Age (3600 – 1200 BC). Today, Amman is the capital of Jordan and with about 4 mln inhabitants is by far the biggest city in the country. The history of this city goes back to 7,000 BC when about 3,000 people lived there. 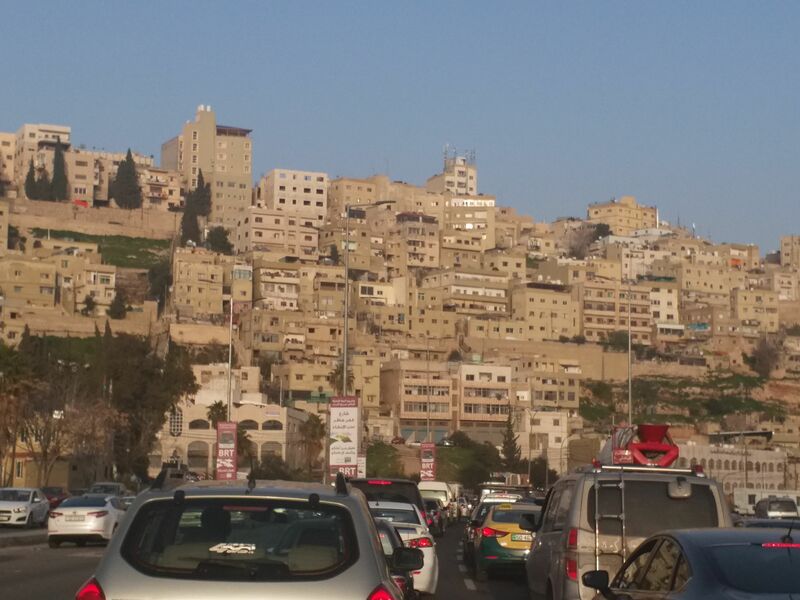 Originally, the city was built on seven hills and the city today is marked by its mountains which makes building roads more difficult, resulting in severe traffic jams throughout the day. 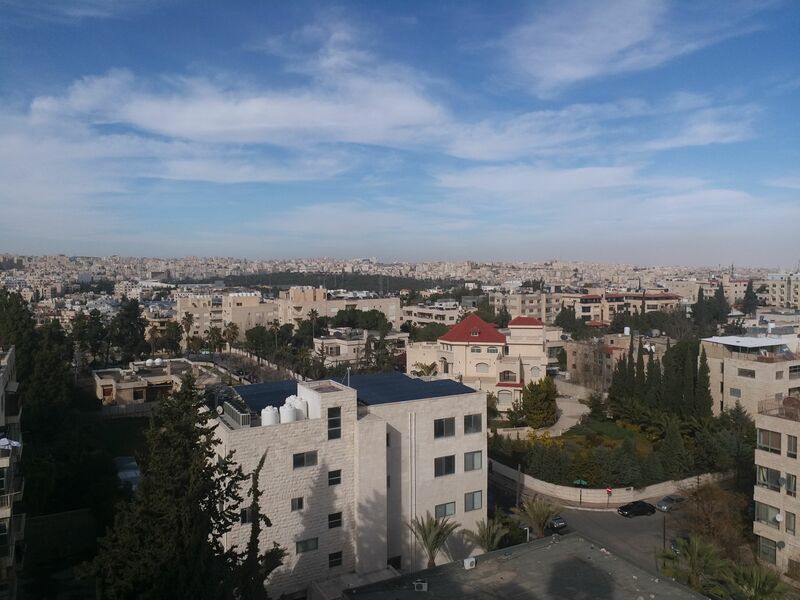 The cityscape is dominated by four story residential buildings (due to local height regulations) and almost all buildings are covered with thick white Jordanian limestone or sandstone. In recent years, investors (mainly from Lebanon) transformed a previous strip of land occupied by the army in the neighborhood of Al Abdali into “Le Boulevard” with several hotels, serviced apartments, and commercial and office buildings which will become Amman’s new business district and a “smart city”. But Jordan is not only Amman, since the country also hosts Petra, a World Heritage Site since 1985, which dates back to 9,000 BC. Petra receives about 1 mln tourists annually. The city was the capital of the Nabataean Kingdom during the 4th century BC and its prominence peaked in the 1st century AD with a population of about 20,000. Another famous tourist spot is the “Dead Sea” which Jordan shares with Israel and the “West Bank”. The shore of the lake is well known for the lowest elevation on land in the world, at 430.5 meters below sea level. The Dead Sea is also famous for its high salt content (342 grams/liter), making swimming similar to floating. Unfortunately, the Dead Sea is receding at an alarming rate: today the water surface is 605 km2, having shrunk from 1,050 km2 in 1930. Arab Potash, one of the largest listed companies on the ASE, is the exclusive producer of potash (mainly used as fertilizer) in Jordan. The company also extracts bromine (inflammable and used in mobile phones) and sodium chloride (many uses: from oil extraction, medicine, dyeing to de-icing roads) from the lake. A new important source of income is also the famous black mud and salt which are becoming increasingly popular especially among women as body and skin care products, with Israeli company Ahava having helped to build up its international reputation. Tourism is one of Jordan’s most important industries with 8 mln arrivals in 2010. However, this number declined sharply due to regional turbulence and the previous presence of ISIS at Jordan’s border. Jordan also hosts about 100,000 archaeological and tourist sites and the country has become a medical tourism destination, attracting patients primarily from the Middle East. Jordan is also trying to establish itself as a major aviation hub with its “open-sky” policy with the result that today Ryanair flies from various European cities to Amman. Last but not least, the night life in Jordan: there are many nightclubs and discotheques and alcohol is more or less freely available (there are many micro-breweries in Amman) and the relatively easy access to the Red Sea, with its amazing diving and underwater world, should attract tourists from Europe. Despite being surrounded by countries with huge oil reserves like Iraq and Saudi Arabia, Jordan does not currently pump any distillates, with the exception of a small gas field near the Iraqi border. However, the country has the 5th largest oil-shale reserves in the world in the central and northwestern regions but at the current oil price and due to technical difficulties, extraction has been postponed. Jordan receives about 330 days of sunshine a year and wind speeds can reach over 7 meters/second in the mountain areas of the country which has led various listed investment companies and foreign investors to start investing into the promising sector of alternative power generation. During my stay I met with various listed companies from the industrial, investment, property and banking sectors. There are currently 20 banks allowed to operate in Jordan and I met with two of them, but not the two largest banks which have a combined market share of 40%. Jordanian banks have generally suffered from the economic slowdown and non-performing loans are about 7.5% to 8% of outstanding loans. This figure is very high compared with other countries but the reason for this is that the loans are never written off from the balance sheets (necessary provisions are made though) in Jordan. Despite the tough business climate, all the Jordanian banks have been profitable in each of the past 10 years. Most of the banks are foreign owned - mainly by investors from “GCC-countries” (Gulf Cooperation Council). Despite the fact that the Jordanian Dinar is pegged to the USD at 0.7, the banks are not allowed to make loans in USD to individuals and companies only if their income is also in USD. Both banks I met have expanded into neighboring countries and one of them started (unfortunately) a subsidiary in Syria 10 years ago and subsequently that investment had to be written off for the time being. Both banks are now looking to start branches in Iraq where they see huge potential, especially in the SME sector and in the credit card segment. When I arrived in Amman for my four day visit I was greeted by blue sky, but it was already quite windy. That changed the next day in the afternoon when the wind became even stronger and clouds started to appear. During the entirety of the third day it rained heavily and the weather forecast was for a storm coupled with snow (Amman’s elevation is from 700 to 1,100 meters) on the day of my departure. 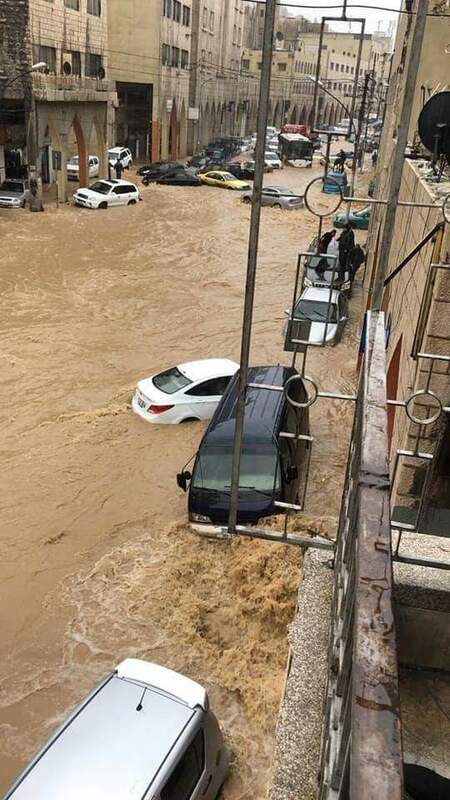 However I was lucky to leave from Amman International Airport in the morning right before the worst of the storm hit the city (see photo above). Like in investing: “timing is everything”. I hope you have enjoyed reading this travel report. If you would like any further information about AFC Asia Frontier Fund, please get in touch with me or my colleagues. The representative of the AFC Asia Frontier Fund (non-US), AFC Iraq Fund (non-US), AFC Uzbekistan Fund (non-US) and AFC Vietnam Fund in Switzerland is Hugo Fund Services SA, 6 Cours de Rive, 1204 Geneva. NPB Neue Privat Bank AG, Limmatquai 1 /am Bellevue, CH – 8024 Zürich, Switzerland is the Swiss Paying Agent. In Switzerland, shares shall be distributed exclusively to qualified investors. The fund offering documents, articles of association and audited financial statements can be obtained free of charge from the Representative. The place of performance with respect to shares distributed in or from Switzerland is the registered office of the Representative. AFC Asia Frontier Fund is registered for sale to qualified/professional investors in Japan, Singapore, Switzerland, the United Kingdom, and the United States.